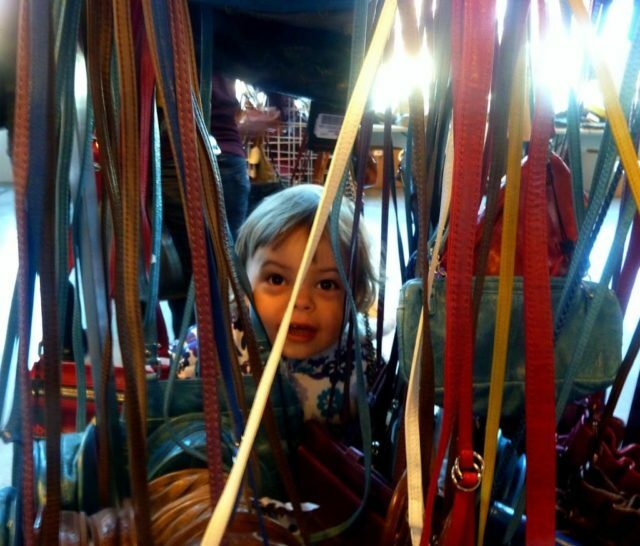 Saturday I attended the Hobo International Sample sale at their warehouse in Annapolis Junction. Last year I attended and ended up with quite a lot of scores (see my post from last year). This year I planned on being far more frugal – I knew I needed a replacement wallet (yep, still using the same wallet from this post), and was thinking maybe a small crossbody or clutch. That's about it. Who is that hiding behind the rack of mini crossbodies? 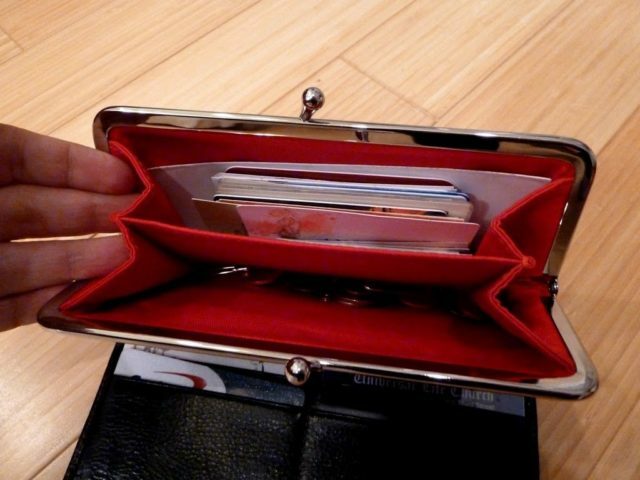 The “Diane” wallet isn't as popular as Hobo's famous “Lauren” but it is PERFECT for me and my lifestyle. I dug through their bins and only found this one – while I would have preferred a color and smooth leather, I couldn't beat getting an almost $100 wallet for $25, and based upon all the years I have been loving my last “Diane” I knew it was a good use of my money. 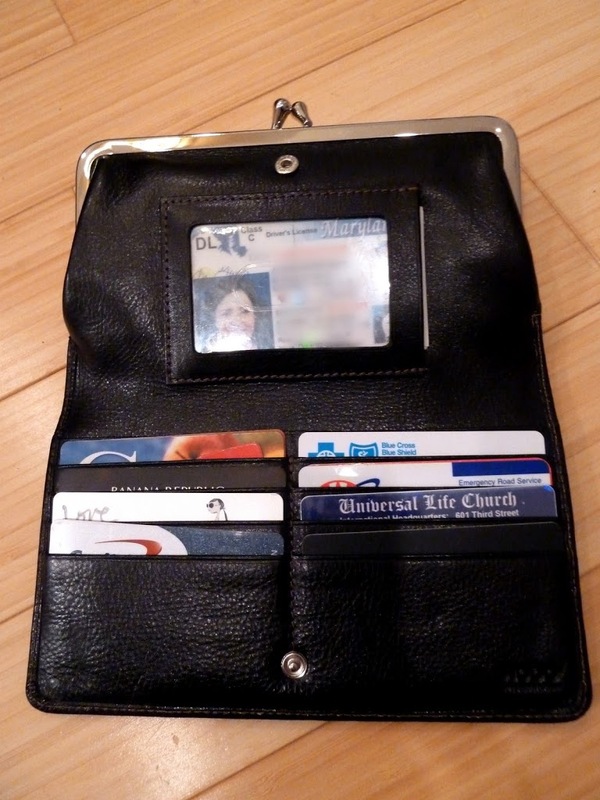 I love the layout – a place for all my cards, a pocket behind it for bills. The window pocket holds my ID and business cards, and then the change purse portion is divided so I have one part for change and the other for coupons and loyalty cards. You can see from my outfit post yesterday that I also got this clutch. I don't know the name of it, it looks most similar to the “Cristel” but not quite. This also was $25 at the sample sale. 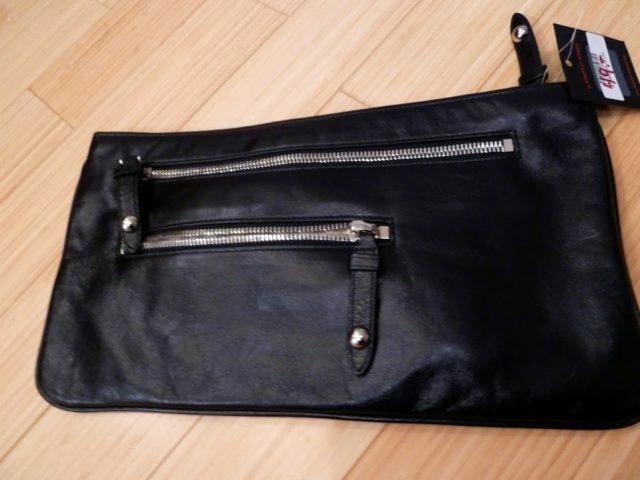 I love how one side has zippers but the other is smooth – two looks in one clutch! This bag (Hobo International “Jude”) I wasn't planning on getting. My sister had it and I thought it was awesome, but she decided she didn't really need it. She's not the type to change her bags with her outfits, and I am. 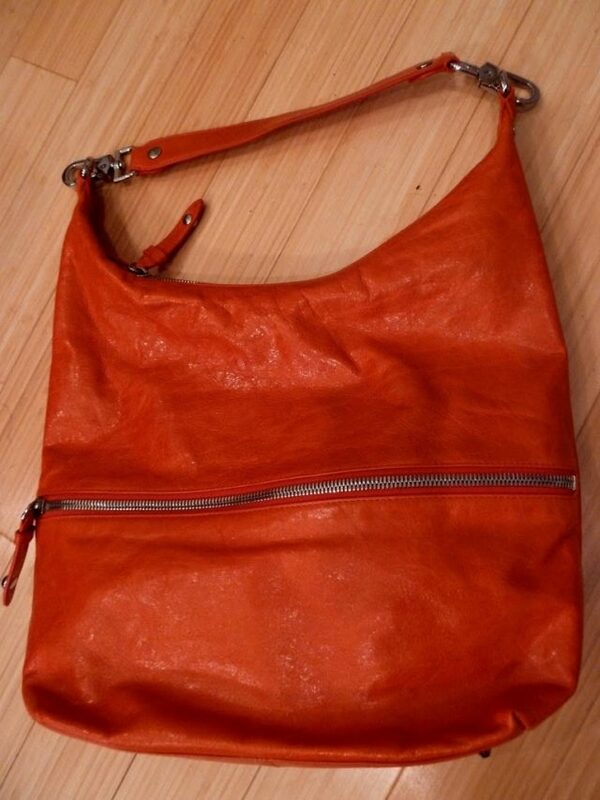 and I have been saying I would like a more casual bag in a bright color. This bag ended up being $60, which is an awesome price compared to the current retail for $248! And the final bag I got was the “Dove” in red. I had been admiring this bag on the Hobo International site for a while and was excited to get it for around $25 at the sale. 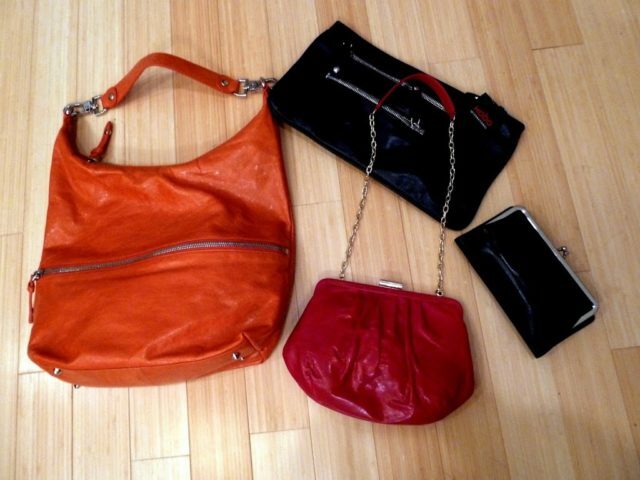 It has the cute chain and leather strap, but the strap neatly tucks into the bag to be a clutch. 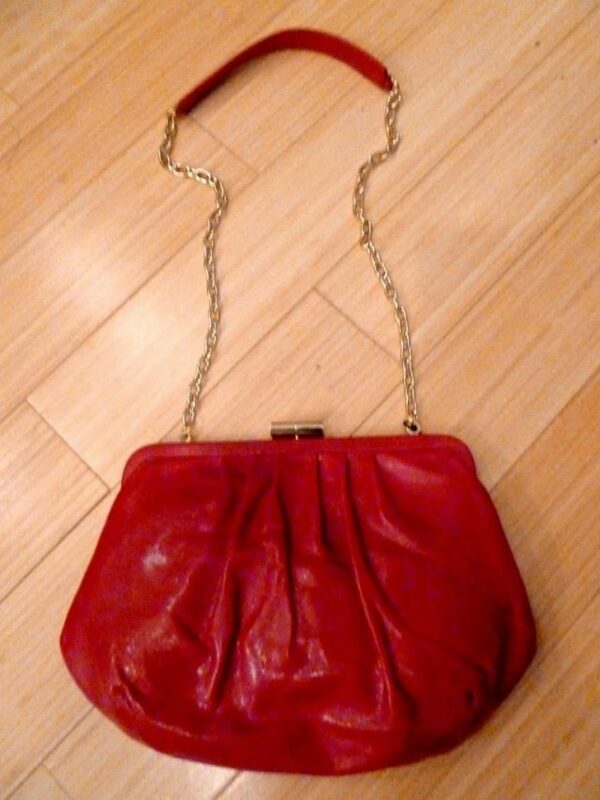 My sister ended up getting the larger version of this bag (the “Birdie”) which makes an adorable oversized clutch. I went with my sister who got the Birdie and a small berry colored patent crossbody; also went with my mom who got an adorable black glazed leather handbag. My sister and I each got a pair of sunglasses which were $9 at the sale. It was a successful trip for all! 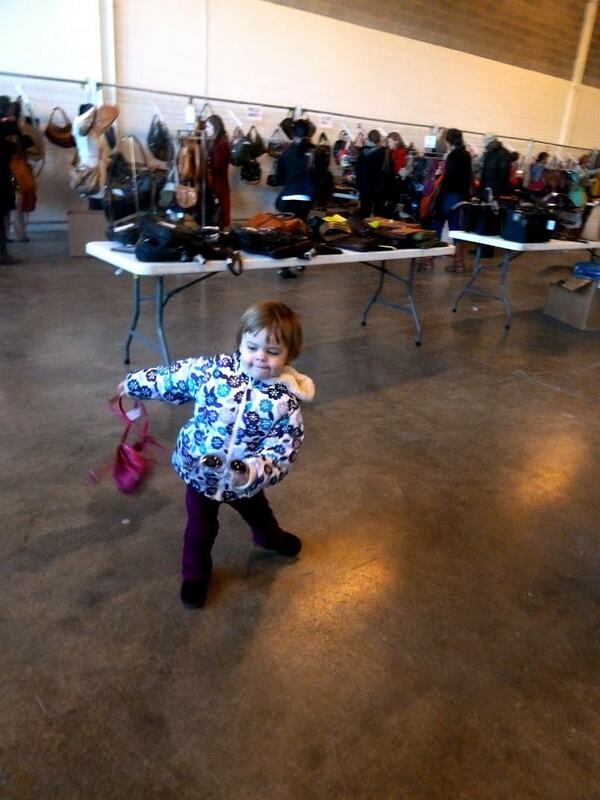 Did you attend the Hobo International Sample Sale? What did you get? What? No new bag for your sweet daughter?!! I’ll be sure to let you know when the next one takes place! Great finds! I should have gone as I need a new wallet. My small wallets would always end up being bigger than a fist, I found the bigger wallets stayed slimmer for me somehow. I do hear you about coupons – I collect and then always forget to use! I actually keep most on my desk at work in a little box because I find I do most of my shopping online during my lunch hour! That Dove bag is so cute! Hobo International was on Rue La La a few months ago, and I got a bight blue crossbody bag that I use all the time when I go out for dinner.